The French label Marron Rouge combines design, environmental protection and the promotion of social projects in India. Cologne, 11. December 2013 – On the Internet marketplace for sustainable and organic products fashionable living and fashion accessories of the French label Marron Rouge have recently become available. With this Eco- and Upcycling-Market extends its product line with a variety of high quality recycling- and upcycling products. “We are pleased to present with Marron Rouge a label that combines upcycling design exemplary with the social thought.” says Annette Husmann, owner of Eco- and Upcycling-Market. The variety of products in the field of ucycling is thus steadily expanded. The founder and creative head behind Marron Rouge is Jean-Marc Attia. He lives and works in Lyon, France. In his atelier in Lyon he creates the designs for a variety of decorative objects and fashion accessories. The products are manufactured in social projects in India. For reasons of environmental protection disposed materials are used as raw materials. The aim is to manage waste intelligently. So many different materials are the starting point for stylish upcycling products: Tires and tubes, which are collected by poor people from Dehli and then sold to an NGO-recycling plant. Parachute bag fabric, which is acquired from the Indian Army. Jeans labels and safety belts as a remnant of expiring collections. In addition, plastic bottles, so recycled PET bottles, newsprint, which is artfully folded and interwoven, disused tailor measuring tapes, braided bamboo stalks and used fire hoses. Marron Rouge offers various collections of bags, small furniture, decorative objects and home accessories. These have already found their way into various ethical boutiques and design stores specializing in several European countries. In addition to contemporary design, the products of Marron Rouge are characterized by the mixture of different materials. So parachute silk and bicycle tubes are combined and processed to attractive fashionable bags. Excess Jean labels are mixed with bicycle tires. 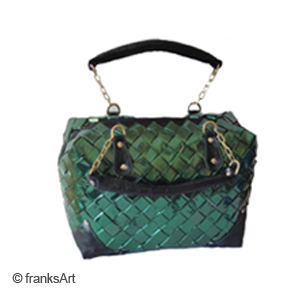 From air hoses and braided bamboo small furnishings such as seat cushions, lamps and other lighting fixtures are created, And from recycled seatbelts seat stools and small rugs are made. Cuddly stuffed animals from organic cotton and fabric remnants arise in a workshop for reintegration in Calcutta. Eco toys of fair manner. For his commitment Jean-Marc Attia has already received several awards. Marron Rouge is labeled with LYON EQUITABLE VILLE ET DURABLE (Lyon an environmentally friendly and sustainable city). The online marketplace for sustainable products offers opportunity for conscious consumption – alternative gift ideas for Christmas and other opportunities. Cologne, 5 December 2013 – The online marketplace Eco- and UpcyclingMarket has taken up the cause of to offer alternatives to the prevailing gifts consumption binge during the Christmas season. “Whoever deals consciously with the subject, soon comes to the decision to select sustainable gifts.” says Annette Husmann, owner of Eco- and Upcycling Market. This is where the philosophy of the Internet marketplace comes into play, which celebrated its first anniversary in October of this year. Instead of devoting themselves to the complete renunciation of consumption, here alternative gift ideas are presented, which allow the informed consumers aware, strategic and sustainable consuming. The selection ranges from a wide selection of Upcycling products through bioplastics household goods, wooden toys and furniture to organic fashion. 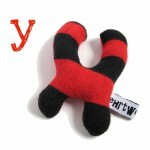 The offer of ehrtweibchen includes imaginative, exceptional and unique cuddly toys in the spirit of sustainability. First anniversary: The online marketplace for organic and sustainable products has established itself as a platform for green consumer products. 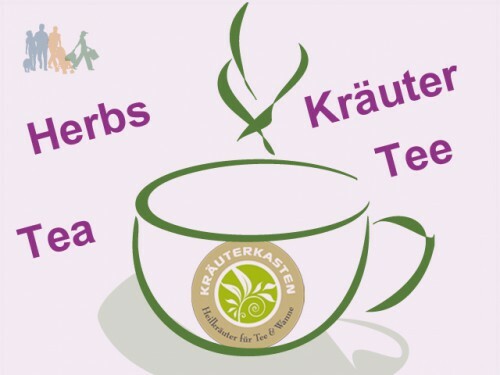 The selection of “Kräuterkasten” includes organic teas, organic herbs, bath herbs, Chai and more. All herbs are from certified organic farming. Cologne, 11 October 2013 – Eco- and Upcycling-Market (since 2015 Greenpicks) welcomes the company Krauterkasten (translation: box of herbs). The online marketplace for sustainable and ecological products expands the range specifically for organic food, organic drinks , as well as for health and care products. All organic herbal teas, medicinal and herbal bath offered by Kräuterkasten are from controlled organic cultivation and certified by DE-ÖKO-001. 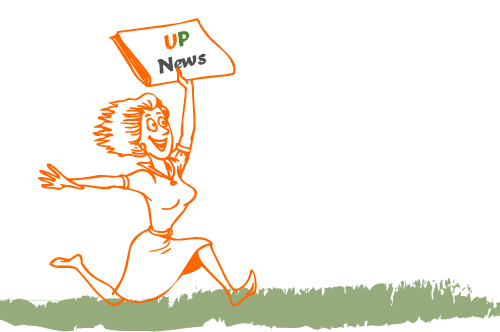 So consumers can be sure to buy untained products in organic quality.